Is The 'Small Truck Vs Sand' Scary-Fast Stunt For Real? 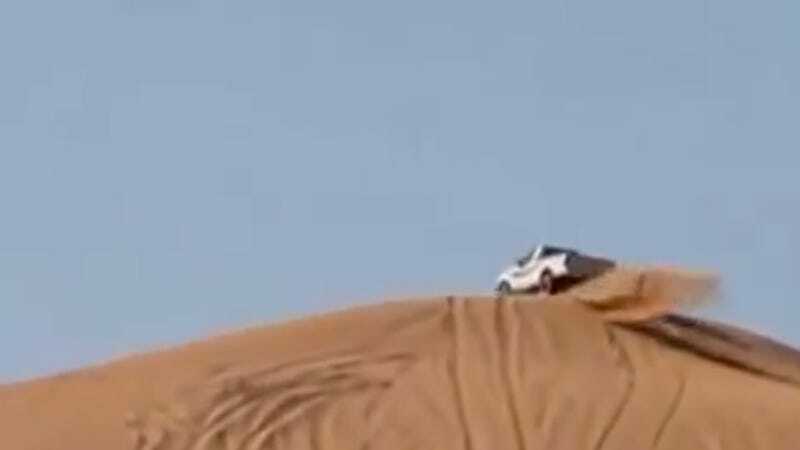 For some reason this VHSy video of a Toyota Tacoma ascending an enormous dune at a crazy-quick clip is popping up all over the place. When it comes to sand, you can pretty much climb anything with enough speed, but does this look legit to you? I want to say it's real, because that'd be awesome and it seems plausible. But something about the way the truck disappears out of frame before it makes the climb feels a little fishy. What do you say?